Mav is King of the Giraffe's, his very favorite animal! So of course we had to cover Giraffe's for G week! First a photo shoot with all of his collection. 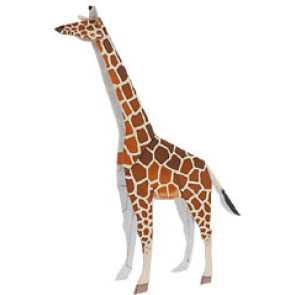 Much of the information we got on giraffes came from Homeschool Share where we printed out everything for this Giraffe lapbook. He is enjoying doing these mini books each time to show everyone what he learned! We watched a youtube video on the live birth of a Giraffe! I am embedding it below, but not for the squeamish. We are farmers after all so we thought it was truly amazing! There are tons of video's online to showcase this beautiful animal. A whole bunch of beautiful Giraffe Photos! We hope to hit the zoo later this summer to take photos of our own. Graduation Review Week.. coming up!